The workplace should provide platforms that give employees the springboard they need to get to the zenith of their careers. 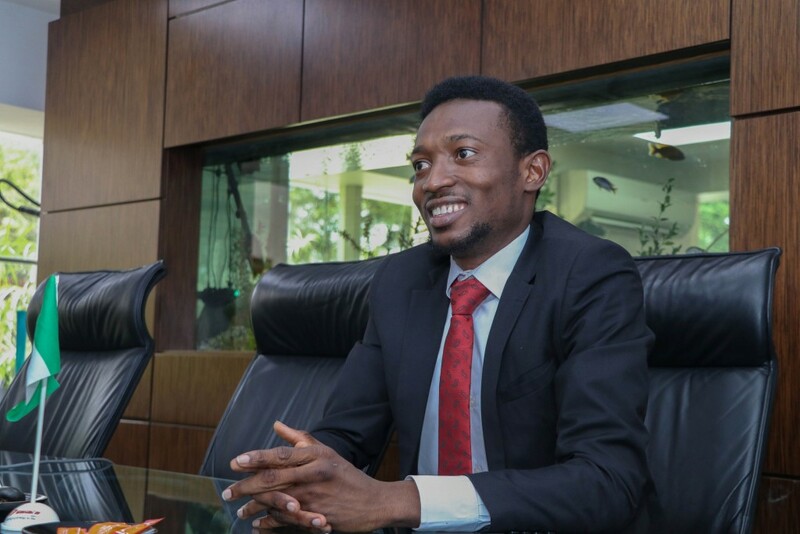 This is the case for Michael Oladeji who recently emerged Best Overall Candidate of the 2017 Institute of Chartered Accountants of Nigeria (ICAN) Qualifying Examination. Michael is a staff of Ikeja Electric, an affiliate of leading multinational energy conglomerate, Sahara Group. Michael says he is inspired by the work ethic at Sahara Group which places a high premium on excellence. He adds that his department managers at Sahara – some of them previous ICAN laureates – continue to guide him in his quest to achieve more laurels as an outstanding accounting professional. In this interview, he speaks about his love for the Accounting profession and how youths can rise up to the challenge of becoming outstanding leaders of tomorrow. Q: Can you share your initial reaction when it was announced that you emerged as the best ICAN student? A: I was grateful to God. I was a really excited even though I have been a prize winner in all my ICAN exams diets. I was delighted about making the best of all the work I put in while I was preparing for the examination. This achievement really means a lot to me and I am grateful to God. Q: What is the significance of your achievement as ICAN’s best student? A: Personally, it’s a reward for my hard work. I look beyond my prizes most times. What really matters to me is the fact that I love my career path/work. I have a lot of passion for finance. I have fun making sense out of numbers. I believe my passion for finance will give me a platform to contribute extensively to socio-economic development in Nigeria and beyond our shores. Q: Can you describe some of the challenges you had to overcome to achieve the goal? A: The major challenge was that I had a short period to prepare for the exams simply because I was a serving corps member and was on the “rigorous” recruitment process of the Sahara Group Graduate Management Trainee programme. I had to reduce my sleep time to cover the syllabus. Q: Who are your role models in the accounting profession? A: I have a lot of role models. Firstly, my mum is my role model. I owe my love for numbers and work ethic to her. My role models in the accounting profession include Taiwo Oyedele, J.B Akeju, and Olumuyiwa Adebayo. Q: How has working in Ikeja Electric, an affiliate of Sahara Group helped to advance your career? A: There is a unique culture of excellence at the Sahara Group which is obvious even from the recruitment process. This encourages innovation and inspires staff to operate at the highest performance level at all times – in spite of challenges. Working in the Management Information System (MIS) department avails me the opportunity to take on challenging tasks that stretch my abilities and requires me to learn something new. The opportunity to take on challenging tasks has always been a source of motivation for me. At Sahara, being excellent is like breathing, I find it very inspiring and the impact on my performance is invaluable. Q: What has been the reaction of the organization to your achievement? A: There has been some form of recognition and words of encouragement especially from my line manager, colleagues, the CEO of Ikeja Electric and the entire Sahara Group. I felt quite special that my achievement was considered worthy of celebration by the organization. I featured in several internal recognition platforms in line with the culture at Sahara. I have also been decorated as a SaharaGEM, a moniker for Sahara’s hall of fame that is exclusive for outstanding members of staff. Q: What role do you currently handle at Sahara Group and what prospects of growth are there for you? A: I currently work as an MIS analyst at Ikeja Electric and my team is also involved in setting up MIS for the generation companies (Egbin Power Plc & First Independent Power Limited, FIPL) affiliated with Sahara Group. This has given me the opportunity to learn more about the generation and distribution aspects of the power sector value chain. Q: What role can the accounting profession play in nation building and credible leadership? A: Accounting is not only about Debit, Credit, and balancing of accounts. The scope of Accounting has grown at a broad level. Accountants are the backbone of the nation’s economy and due to their financial expertise, they can guide the nation by strategically analyzing and suggesting various economic and financial measures to uplift deteriorating Nigeria’s economy and boost up industrial growth. Professional accountants contribute to better information, reporting, measurement and decision making. When nations have a vigorous system to track the flow of funds in government, within and between businesses, transparency and accountability are improved, organizations are strengthened, and economies are enhanced. A rational person can see the participation of Accountants in every field and sector of the economy. Their expertise knowledge is required in every area. In addition, Accountants play a major role in ensuring credible leadership by preventing corruption. An aspect of the profession which separates it from other professions is that members of the accounting profession are expected to act in the public interest. It is, therefore, our responsibility as a professional accountant not to act exclusively to satisfy the needs of a particular client or employer’. When the demands or needs of a client or employer appear to be contrary to the public interest, we do consider the public interest. Q: There’s been a lot of conversation around young people rising up to leadership roles. Do you think Nigerian youths are ready for this challenge? A: The major problems limiting the Nigerian youth includes social media distraction; eagerness of youths to become rich these days by all means and rising menace of drug abuse among youths. Nevertheless, some of us are charting new frontiers; creating a huge tech industry on their own. Our entrepreneurial spirit, work ethic, and creative abilities are delightful. In addition, we now have an increasing number of youth activist and participation in politics. For these reasons, I believe some Nigerian youths are ever ready for the leadership role. Q: How do you plan to give back to students seeking a profession in accounting? A: I have once benefited from CSR activities of both individuals and companies. I truly understand the importance of CSR to our community development. Some of the ways I plan to give back to my society especially to young students seeking to join the accounting profession is by offering mentorship and free tutorials to students planning to write professional exams. Q: What goals do you have for the future? A: One of my major goals involve growing in Sahara Group where I hope to continue learning and taking on additional responsibilities in order to contribute as much value as I can. I am eager to experience new challenges and excited to invest considerable years specializing in a career I find extremely interesting and motivating.